Shipping - $25.00 This item does not qualify for our Simple Shipping program. 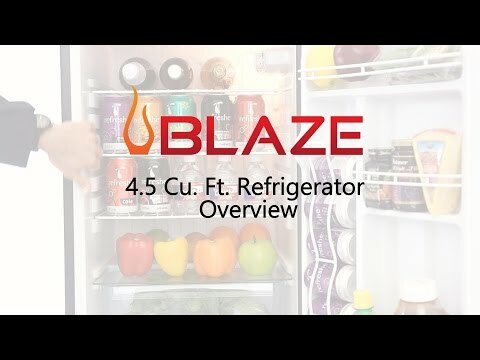 Save 20% on All Blaze Refrigerators . Save 20% off of MSRP on all Blaze refrigerators and ice makers. Freestanding and built-in available! The perfect addition to any indoor or outdoor kitchen area. 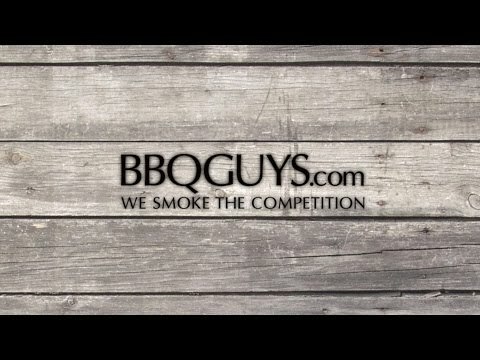 Blaze Outdoor Products introduces the perfect choice to keep your kitchen stocked and ready to rock. The BLZ-SSRF130 compact refrigerator features a field reversible stainless steel door with black trim, adjustable leveling legs for an exact fit, and a door lock with key to secure your food or drinks. The interior comes equipped with a light for easy visibility and three (3) adjustable, 16 X 10 inch wire shelves for storage. There is also a see-thru crisper for fresh fruits and vegetables The door features three shelves for storing condiments or tall bottles and a beverage can holder and dispenser. This compact refrigerator has a mechanical thermostat for controlling the temperature and automatic defrost for easy cleaning. Whether you use it in your dorm room, kitchen or garage, this Blaze 4.5 cubic foot compact refrigerator is the perfect addition to any setting. Total Capacity 4.5 Cu. Ft. The refrigerator, including the compressor, is warranted for one (1) year to the original owner against defects in manufacturing and workmanship. We added an outdoor kitchen to our patio and purchased this fridge to replace our existing one. We've had it a couple months and it has worked wonderfully! An outdoor fridge that works! This unit is being used in a barn setting. Previously had been trying home/office type units that just couldn't keep up with broad range of ambient temperatures. So far, this unit is able to maintain constant internal temperature even while ambient temperature has reached into 90s. Time will tell for longevity. I was actually pleased that a freezer area was not included as I have had too many negative experiences with the home/office/dorm room types. Will be used in outdoor kitchen with overhang. We have used this for about 3 weeks outside in our humid and warm temps. It keeps drinks cold and holds just what we need. It is quiet too. My only complaint is the bottom door area which has an adjustable drink bar. The bar is not secure so when you open the door, the cans/bottles fall out . Otherwise, we are very happy with the refrigerator. I have had this fridge for over a year. It performs fine through-out three quarters of the year. Unfortunately, when the hot Texas summer hits, one must crank up the cool dial. There lies the fridges only problem. There is an eighth of an inch play in he dial were its either not cooling your beverages OR its freezing them into ice. Once you learn to fine tune it though, its fine. Considering the low price I gave it three stars. For power patio users, I suggest you pay the additional money for the outdoor rated Blaze fridge instead. Is this Blaze compact refrigerator with recessed handle outdoor rated and can the door be hinged on the left? Hi, Shon. This fridge isn't outdoor rated, however, it does a reversible door, so you'll be able to switch the hinge to the left. 4.5 Cu. Ft. 4.5 Cu. Ft. 4.5 Cu. Ft. 4.6 Cu. Ft.
21 9/16" 20 3/4" 20 1/2" 21 3/8"
23" 22 1/2" 20 3/4" 21 1/4"
33 3/4" 32 1/2" 33" 32 1/4"